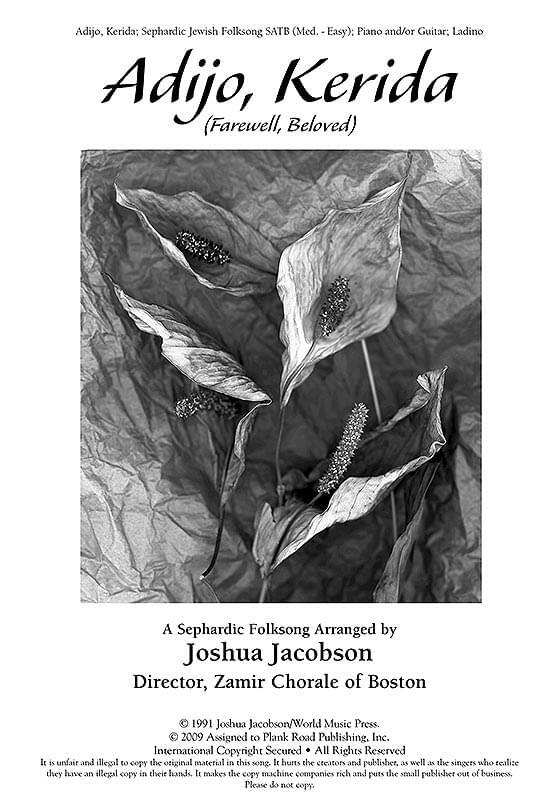 This Sephardic Jewish folk song "Farewell, Beloved" in Ladino, is arranged by Joshua Jacobson, the director of the Zamir Chorale, Boston. With amazing harmonies, there is quite a strong rhythm and exotic presence. SATB; piano and/or guitar.